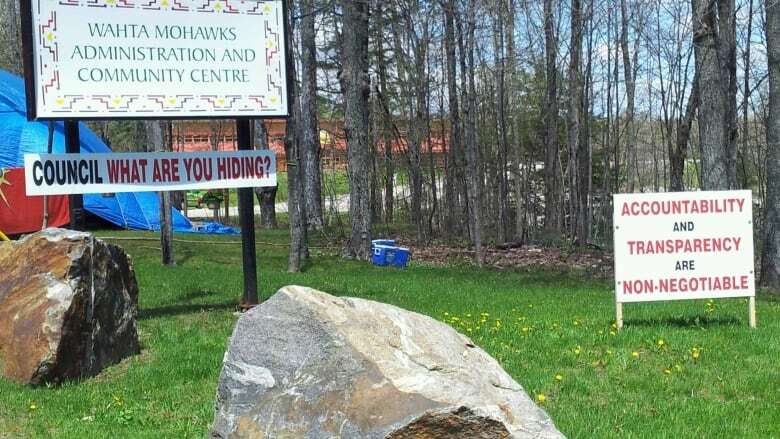 A band official for a Mohawk First Nation in Ontario drew up an “enemies list” of people involved in a protest against the chief and council, according to a $13 million lawsuit filed in Federal Court. 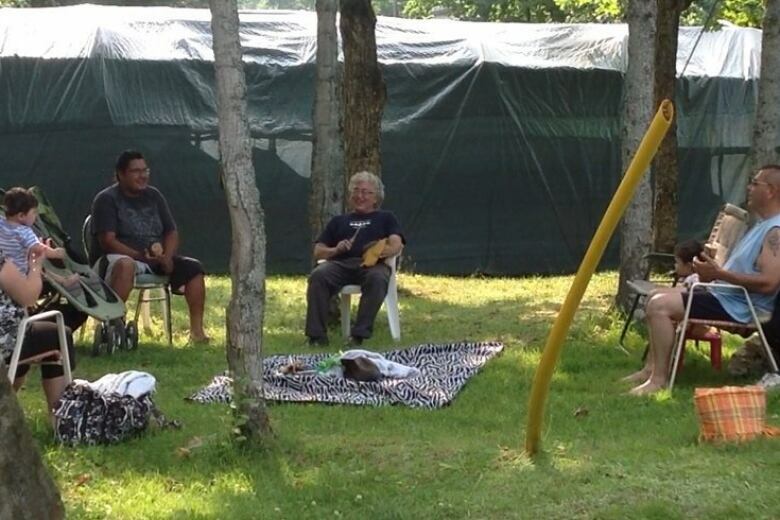 A band official for a Mohawk First Nation in Ontario drew up an "enemies list" of people involved in a protest against the chief and council, according to a $13 million lawsuit filed in Federal Court. 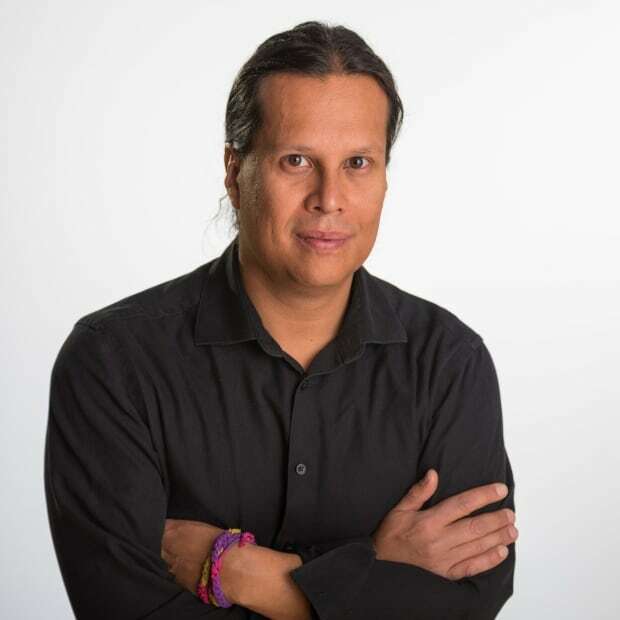 The lawsuit, filed in March by band member David Stock, names the current Wahta Mohawk Chief Philip Franks along with current and former councilllors. Wahta, which was founded in 1881 by members from the Mohawk community of Kanesatake near Montreal, sits about 180 km north of Toronto. The lawsuit alleges that a list was drawn up of 35 people who participated in a 140-day protest in 2014 outside the band administration office. The list, obtained by CBC News, was drawn up by the band's senior administrator who recommended on Aug. 26, 2014, that the council restrict services to the 35 people — including Stock — to recoup costs inflicted on the band by the protest, according to the lawsuit. Franks said in an interview that the band did not accept the recommendation and the individuals did not have their band services restricted. "The 'enemies list,' there is no such thing," said Franks. "It stems from a misunderstanding going back three and a half years ago. As far as council is concerned, it never implemented or adopted a list of this type. It's a lot of hype. We will work it out in court." Stuart Lane, who was a band councillor at the time, saw it differently. "It is an attack on the people that were protesting and a way to attack them without being too obvious," said Lane, who failed in a 2017 re-election bid. "It does put a target on people." Wahta band member Karihwakeron Tim Thompson's name was on the list. "We felt there was a lot of aggression. The enemies list was aggression. It was targeting us," said Thompson, who ran for chief in 2017. "It's like saying [we] are the undesirables in the community." Thompson said many of the issues that triggered the protest are still at play today. "We have some large families, we have a lot of big money that influences what happens in our community," said Thompson. "We are dealing with far more basic issues of core accountability and transparency, we are dealing with nepotism and cronyism. Those are the kind of issues that have been dominant for a long, long time." Stock's lawsuit alleges that the band council has acted in an "unscrupulous manner" and that he has been subjected to physical and verbal intimidation as a result of his sustained criticisms of the council's governance. "Instead of protecting its citizens and acting on behalf of them, we have a council that has turned on its citizens and used state resources to target individuals," said Stock's Toronto lawyer Caryma Sa'd. Sa'd said the request for $13 million in damages reflects the level of harassment and intimidation faced by Stock, which allegedly ranged from almost being run over by a truck to a home invasion that resulted in a gunshot being fired in his home. Sa'd said she would be filing an amended statement of claim shortly to address concerns around whether the issues raised against the band council fall within the jurisdiction of the Federal Court. "Are (the band councillors) state agents or not?" said Sa'd. "So, amendments will reflect the argument that this is the proper place to bring this type of claim." Stock, who lost his job as the band's conservation officer in 2014, alleges in the lawsuit he has also been prevented from earning a livelihood in his home community. Stock said in an interview that the harassment targeting him was so bad it triggered a decision to send his wife's daughter to live with her grandparents. "It's like fighting a cartel," said Stock. Chief Franks said the band plans to fight the claim. He said he couldn't address each of the allegations without first consulting his lawyer and that he was limited in what he could say because the matter is before the courts.